An Ebola outbreak has been declared in the Democratic Republic of Congo's north-western territory of Bikoro. There are two confirmed cases of the Ebola virus in the affected area and 17 deaths where it is suspected, the health ministry said on Tuesday. The incident comes more than a year after an outbreak in the country killed four people. A 2014 Ebola outbreak in West Africa killed over 11,000 people as it tore into Guinea, Sierra Leone and Liberia. According to the World Health Organization, the outbreak declaration was made after laboratory results confirmed two cases of the Ebola virus out of a sample of five suspected Ebola patients. The ministry says it has identified 21 people showing signs of haemorrhagic fever. "Our top priority is to get to Bikoro to work alongside the government " the WHO's Peter Salama said in a statement. "Working with partners and responding early and in a co-ordinated way will be vital to containing this deadly disease." 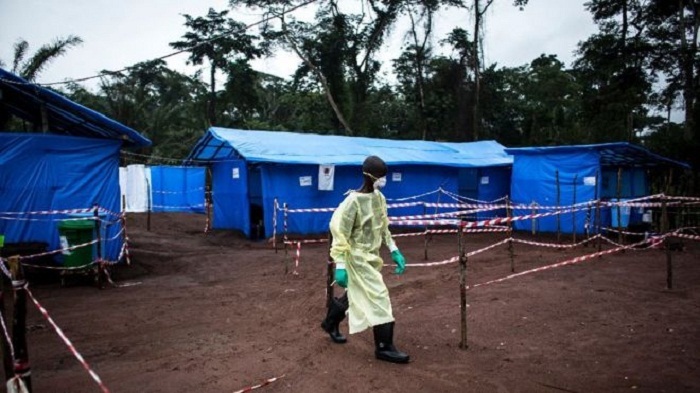 The international health organisation says it has released $1m (£738,000) from an emergency fund and has deployed more than 50 experts to work with officials in the DR Congo. This is the ninth time an Ebola outbreak has been recorded in the country. The virus was discovered in the DR Congo (then known as Zaire) in 1976 and is named after the Ebola river. Ebola is thought to be spread by fruit bats, which can host the virus without dying. The bats infect other animals, such as monkeys, and the virus is often spread to human populations through infected bush-meat or contact with bodily fluids of infected animals. In 2014, an Ebola outbreak in the DR Congo killed more than 40 people. According to Reuters, the country's vast geography helps to keep outbreaks localised and easy to isolate. The last outbreak in the country saw teams of WHO experts, including epidemiologists, biologists and hygiene specialists, dispatched to the country's north-east.